CardioMed Device Consultants can help you with your medical device regulatory needs. Knowing and interpreting regulations and guidelines, and having the right strategy, the right data, and the right presentation is important for expeditious review and FDA approval of your medical device. The following are some of the key regulatory consulting services we provide. In addition, we would be happy to discuss any of your specific regulatory needs. Develop regulatory strategy for medical device development, pre-market submissions, and FDA review. Provide interpretation of applicable medical device regulations and guidance document requirements. Assist with preparation and provide pre-submission review of pre-market notification [510(k)], investigational device exemption (IDE), pre-market approval (PMA), and humanitarian device exemption (HDE) applications. Assist with product labeling and Instructions for Use (IFU) development and provide pre-submission review to ensure regulatory requirements are met. Initiate, coordinate, and participate in meetings with FDA to discuss regulatory, scientific, and or technical issues. 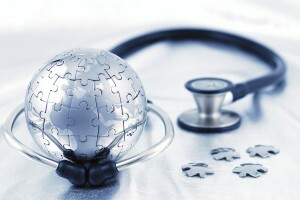 Assist with medical device import and export requirements. Assist with registration, listing, and reporting requirements.